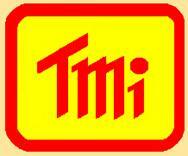 T + M Verytek Instruments | T.M.I. 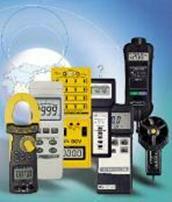 Wide variety of Panel Meters , Well priced and functional. From Power Analysers, Volt Meters, Current Meters to a range of protection devices. This is our branded range of products, being the result of an inspiration from a 35 year long term supplier of quality and reputable instruments. 3 Phase Site Programmable Panel Voltmeter. True RMS, Password protection, 4 digit LED. RS485 Interface. Harmonic Measurement. Auto Ranging. 1 Phase Energy Panel Meter. 8 Digit Display. Dual Display. Programmable. True RMS. Max Demand with Contact. Harmonics. Auto Ranging. RS485 interface. Round Current Transformers. ABS Plastic Moulding for use in wide range of bus bars. CT are ultrasonically welded. 800/5 to 1200/5. 10VA Burden. In Line Plug Power Meter. In Line Plug Power Meter. Versatile Multi Function Plug-In Meter. Power (Watts), Energy (WHr), Line Voltage & Current (True RMS), Power Factor and Frequency.